In Australia Most schools and other educational institutions have the appropriate Copyright Agency (CAL) licence. Please check -if you’re working in the Education sector- before using any material on this website. All text, images and PDF files on the Australian Teacher website are subject to a Copyright Agency licence if downloaded or saved, scanned, digitally photographed, copied to CD, DVD or disk, printed, linked to a Network/Intranet, emailed, displayed or projected. In Other Countries Institutions in regions outside Australia may be covered by a Reprographic Rights Organisation (RRO) other than Copyright Agency (CAL) and with which Copyright Agency (CAL) has a reciprocal arrangement. This website is managed by educators based in Perth. There are more than 1 000 lessons here, available to teachers anywhere. The site is regularly updated with new material, for all year levels from Pre-Primary through to Year 10. 1. Is Australian Teacher designed to be visited by both teachers and students? No, only teachers. 2. 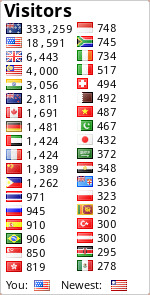 Does the site have anything to offer visitors from other nations? Yes. Most of Australian Teacher’s content is non Australia-specific so there is much here that is suitable for any English-speaking classroom. 4. Is it true that one of the main aims of Australian Teacher is getting children to think, reason, and have meaningful, stimulating discussions? Yes. If we knew that there are students in classrooms who are discussing, debating and philosophising about some of our material we would be delighted. The engagement of higher-thinking skills in real-time, face to face interactions is the primary goal in many of our suggestions and ideas. We would be more than happy for you to include Australian Teacher on your Facebook or Twitter page. Australian Teacher supports the ‘Keepers of the Earth’ initiative of Indigenous Peoples Worldwide, aimed at ensuring that the unique indigenous cultures from which time-honoured traditional knowledge stems are safeguarded for generations to come. One of the aims of this website is to educate young Australians in the ways of our indigenous people. Accordingly we want to present students with indigenous art, stories from the Dreaming, aboriginal languages, etc. 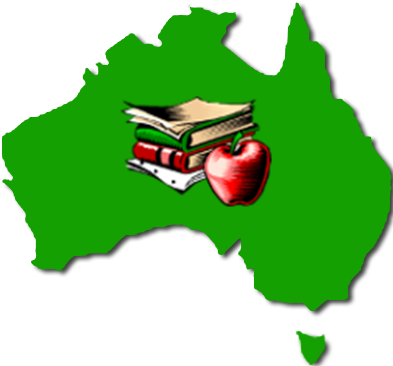 The authors of this site are aware of sensitivities that surround aboriginal customs and have acted with due diligance in collecting material for teachers and students to use in Australian classrooms. We are indebted to staff at the Australian Museum in Canberra (both the Curatorial and Copyright departments), and to Martin Wardrop (Aboriginal Art Online) for their invaluable information, advice and guidance. Particular thanks are afforded to the following persons and organisations: Jilan Shah of the Creative Native -stockist of aboriginal art and other artifacts in Perth- who has allowed samples of the Creative Native’s Indigenous artwork to be used on this website; this artwork is available here for educative purposes only and may be freely discussed but not reproduced; Cecilia Alfonso of Warlukurlangu Artists Aboriginal Corporation who has allowed us to use images and stories from the Warlu website; Caroline Friend of the Rainbow Serpent for use of text and images; Milanka J. Sullivan of Artspeak (text and images); and Jane Resture (Jane’s Oceania) for granting us permission to use text and images from her several Indigenous websites. If you would like to discuss our use of Indigenous art, languages, Dreaming stories and/or other material please contact us at the email address below.